The LAHO Group (LA / Holland), was founded by Dutch jazz drummer Kevin van den Elzen. He came to Los Angeles in 2015 for his master studies at USC’s Thornton School of Music. Before coming to LA, Van den Elzen met pianist Adam Hersh and bassist Max Kraus through the Keep An Eye Jazz Competition, hosted by the Conservatory of Amsterdam. Kraus has studied with Darek Oales and Vince Mendoza. Since his move to Los Angeles, he has been playing intensively in the LA Jazz scene. Hersh studied at Cal State Northridge with Josh Nelson and has been playing with his own groups around town, but also with musicians such as Bob McChesney, Dave Robaire and Bill Holman. 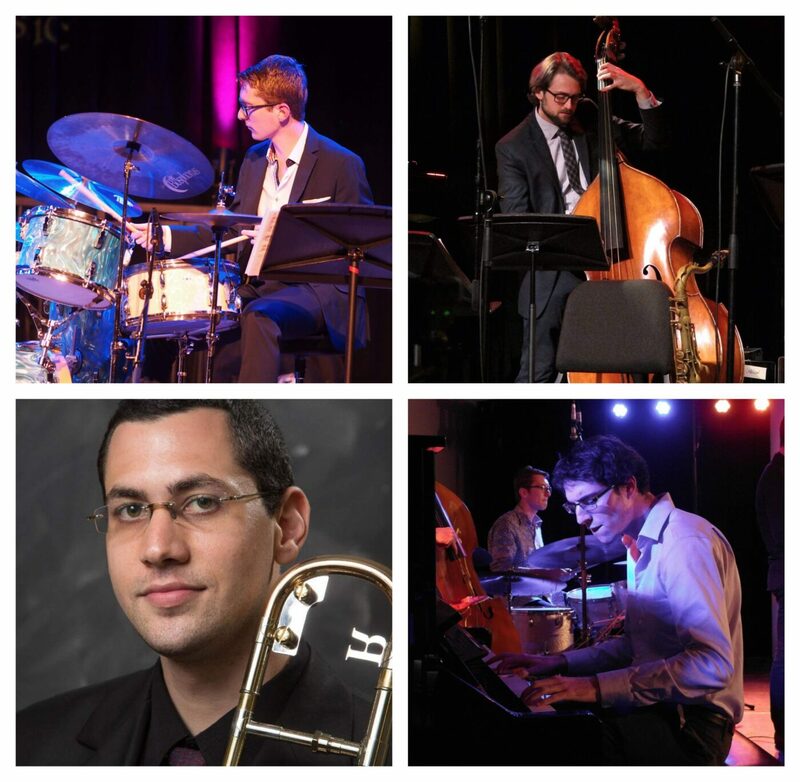 The latest addition to the group is trombone player Ido Meshulam. Meshulam graduated from Thelonious Monk Institute of Jazz in 2016. He has performed with a.o. Billy Childs, John Beasley and Bill Cunliffe. Together, they form a collective that performs original music that emphasizes on lyricism and melody. Listen to LAHO’s music here!